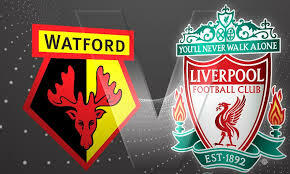 Watford welcomes Liverpool in a match from the 13th round of the Premier League. Let’s see what’s happening with these two teams before their clash at the Vicarage Road Stadium at Saturday afternoon. Watford are 7th in the Premier League standings. They are having a good season so far. Javi Gracia’s boys have 20 points and a record of 6 wins, 2 draws and 4 defeats. Their main goal is to finish the season in the Top 10 and so far they are doing a pretty good job. In their last match Watford made a 1-1 draw against Southampton away from home. Manolo Gabbiadini opened the score for the Saints, but Jose Holebas equalized for Watford just 8 minutes before the end. Watford must be happy with this result, because they were pretty close to losing this one. Liverpool are among the title contenders in the Premier League. The Reds are 2nd in the league at this moment, trailing on just 2 points behind the leader Manchester City. Liverpool have 30 points and a record of 9 wins and 3 draws. Alongside Man City and Chelsea, Liverpool are one of the three unbeaten teams in the league at this moment. In their last five games the Reds won three times and made two draws. In their last fixture Jurgen Klopp’s boys enjoyed a 2-0 win at home against the struggling Fulham. Mohamed Salah opened the score for Liverpool and Xherdan Shaqiri doubled it just 8 minutes after the halftime break. Liverpool are highly motivated to win the Premier League for a first time since many, many years, but they must be almost flawless. Manchester City are rarely losing any points and they are hard to beat for the title. That’s our thoughts about the Premier League clash between Watford and Liverpool at the Vicarage Road.